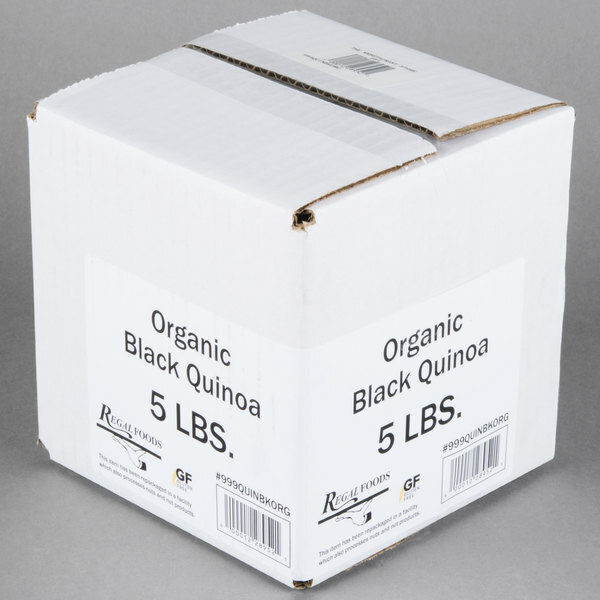 Regal Foods Organic Black Quinoa - 5 lb. This Regal Foods organic black quinoa makes a naturally delicious and nutritious addition to any recipe! 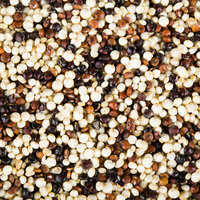 Quinoa is an ancient grain known for its nutritious, edible seeds. The seeds are rinsed in water and cooked similarly to rice. When prepared in boiling water on the stovetop, quinoa can be ready in as little as 15 to 20 minutes. It will have a fluffy texture and a mild, nutty flavor once cooked. Easy to incorporate into any dish, quinoa is also naturally gluten free, so it will suit many different types of recipes and dietary needs. "Black quinoa really does make a statement! I like to mix some in with white quinoa (1 part black to 2 or 3 parts white), but if you want to make a dramatic side I would make all black quinoa and add in some brightly colored food, like raw red bell pepper or edamame." 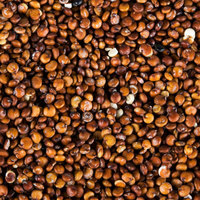 Closely related to the amaranth grain, quinoa can be used in soups, salads, or stuffed squash. Mix it with risotto, vegetables, or fresh herbs. It can even be used in granola or flavorful breakfast bowls with fresh fruits and milk. Quinoa grows in different colors, and although the taste is similar among the varieties, you can choose the color that is appealing for your recipe. 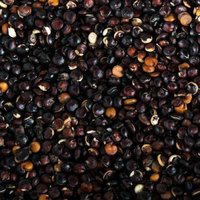 Additionally, this black quinoa contains healthy fatty acids. 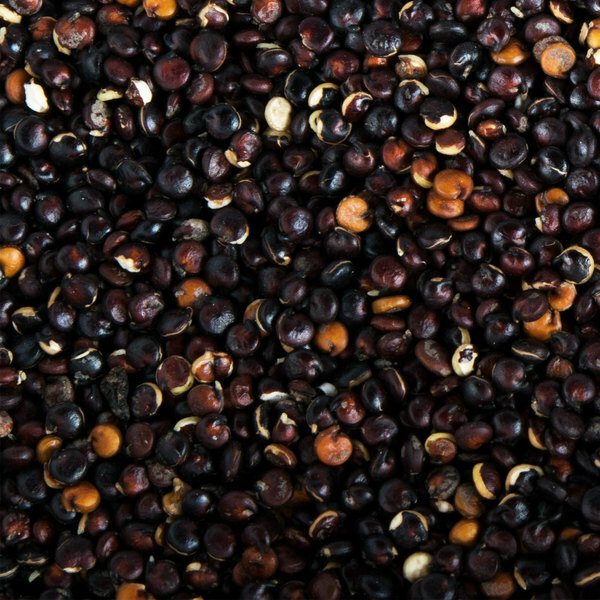 Quinoa is an excellent plant-based protein source for vegetarian and vegan dishes. It is a complete protein, meaning that it provides all nine essential amino acids for a healthy diet. It is high in beneficial antioxidants, dietary fiber, vitamins, and minerals. 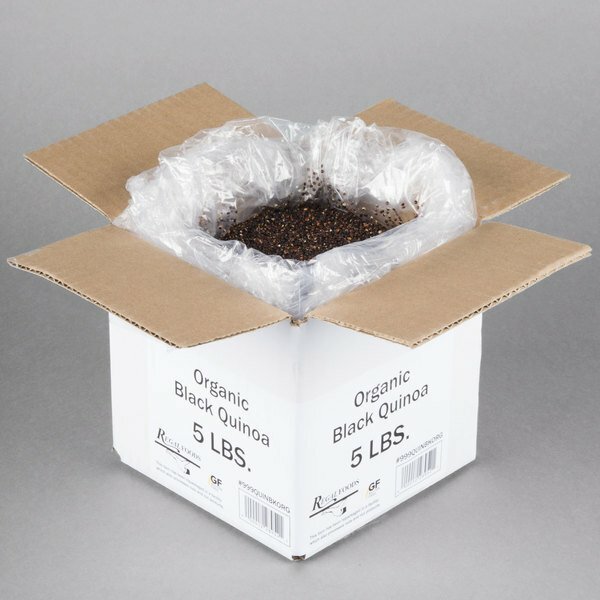 Item #: 999QUINBKORG Regal Foods Organic Black Quinoa - 5 lb. 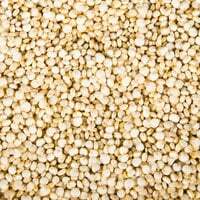 Item #: 999QUINWHORG Regal Foods Organic White Quinoa - 5 lb. Item #: 999QUINTRORG Regal Foods Organic Tri-Color Quinoa - 5 lb. 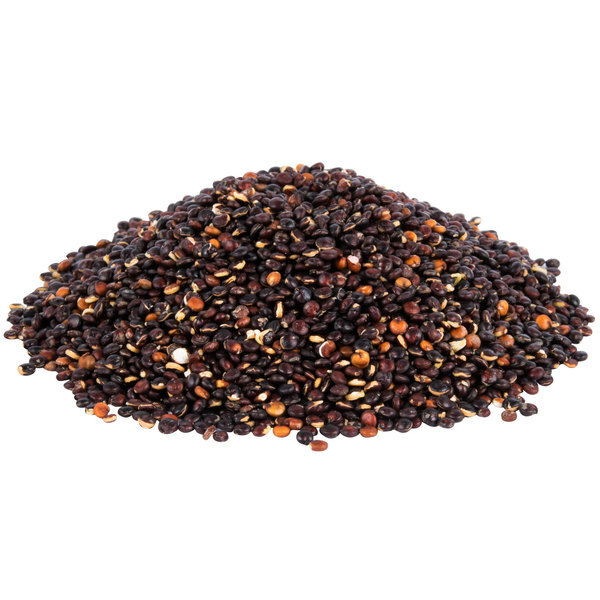 Item #: 999QUINRDORG Regal Foods Organic Red Quinoa - 5 lb. 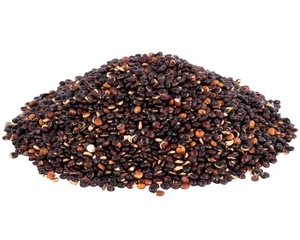 Overall User Rating: Regal Foods Organic Black Quinoa - 5 lb. This is my first time trying black quinoa. My son ground it into flour and made double chocolate chip cookies with it! Not only is it a healthy alternative to all the wheat we have used in the past, but it has a nice nutty flavor and gives the cookies a beautiful dark color! Black quinoa really does make a statement! I like to mix some in with white quinoa (1 part black to 2 or 3 parts white), but if you want to make a dramatic side I would make all black quinoa and add in some brightly colored food, like raw red bell pepper or edamame.